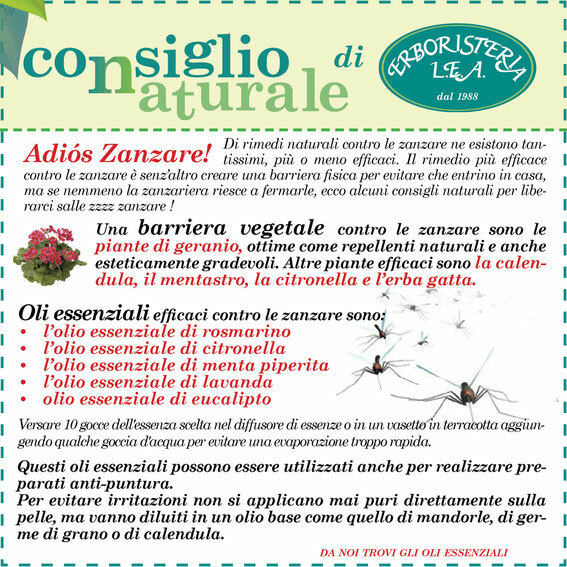 Rimedi naturali contro le zanzare - Erboristeria L.E.A. Rimedi naturali contro le tanto odiate zanzare. First of all I would like to say wonderful blog! I had a quick question in which I'd like to ask if you don't mind. I was interested to find out how you center yourself and clear your thoughts prior to writing. I have had a hard time clearing my thoughts in getting my ideas out there. I do take pleasure in writing but it just seems like the first 10 to 15 minutes are generally lost simply just trying to figure out how to begin. Any ideas or tips? Thank you!